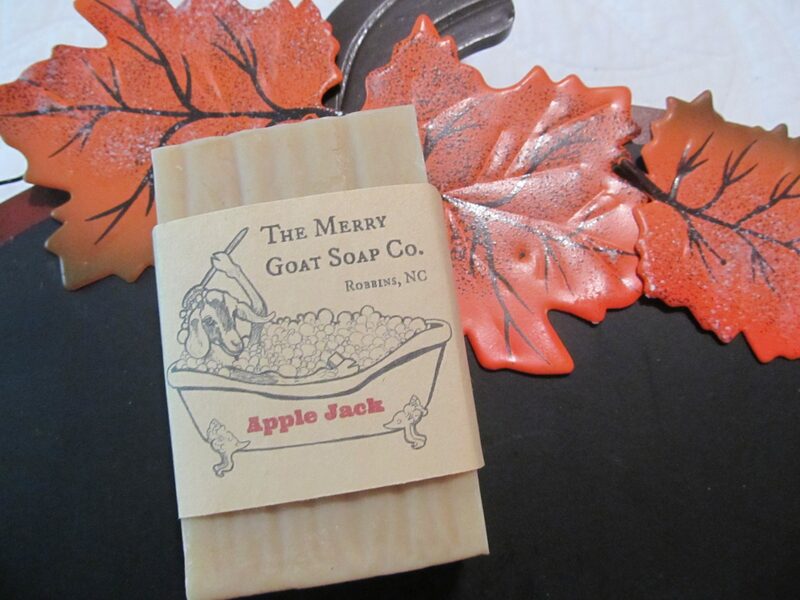 Handmade goats milk soap scented with “Apple Jack Peel” fragrance oil. A favorite during the winter months for its warm, nostalgic fragrance. Our own goats milk soap marketed under the name, The Merry Goat Soap Company, one of our many ventures out here on the homestead. Our small batch soap is made the old fashioned way, meaning it is cooked to ensure all the lye content has been consumed by the oils. The result is a silky smooth, creamy bar of soap which is gentle enough for most sensitive skin types and conditions. If you find this not to be the case for you please contact me and I will gladly arrange a full refund. Our bars have a distinct, rustic appearance and are made with simple, all natural ingredients with no chemical additives. Our raw goat’s milk used in the preparation of the soap lends a moisturizing effect and also gives the bar its natural color. All our goats are hand-milked in order to keep the process as natural and loving as possible. They know milking time means lots of yummy treats and attention, so we often have a rush to see who can run to the gate to be the first in line!